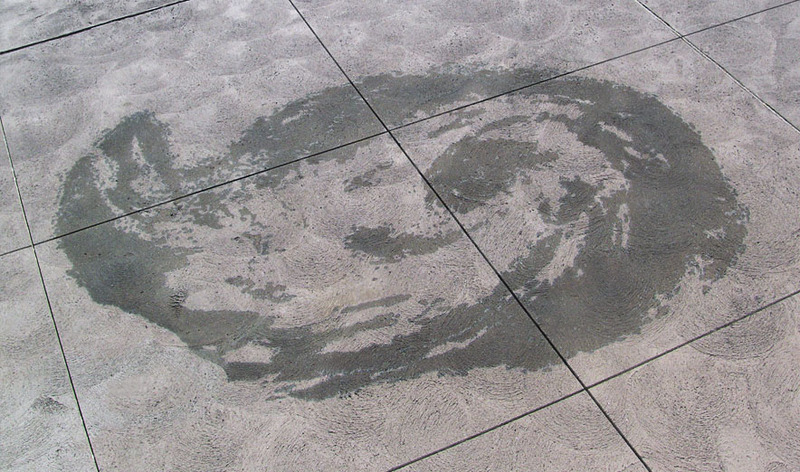 Artist Craig Cree Stone developed his proprietary method for staining concrete in 1993 for his Belmont Shore project "Shadows Casting on the Shore". 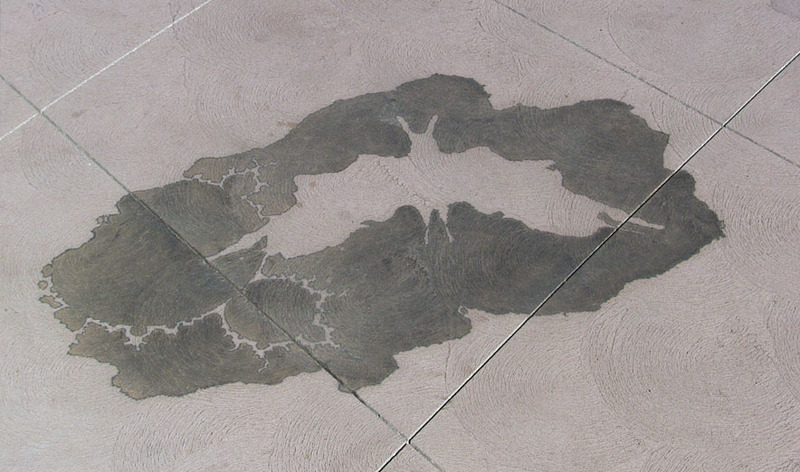 This project was an opportunity to take the staining to a higher level of detail, while maintaining the kind of organic diffused edge that is unique to the method. 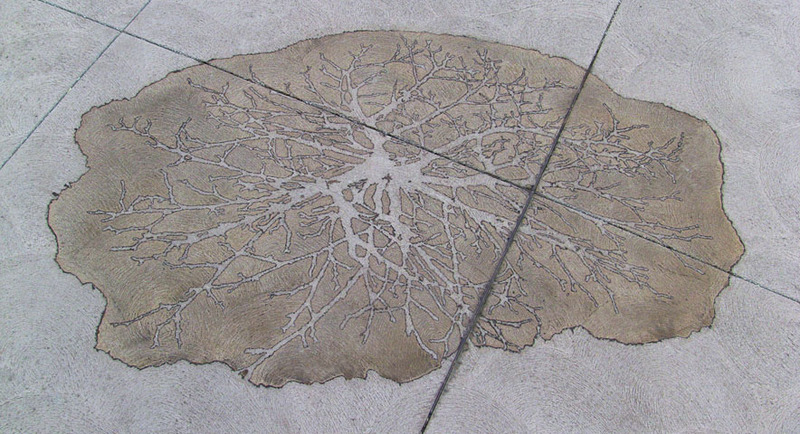 The stained images were completed in the final phase of the project by the artist and a crew lead by Art Neri who has worked on every public art project that Craig Cree Stone has produced. The artist worked with graphic designer Tim Drewitt to research image concepts that related to the themes of the Project, and over the course of two years revised and refined the chosen images. The templates for the final designs were fine-tuned to maximize the amount of detail possible for this specific site and materials. The 3 sculptures within the Art Plaza have related stained images which are designed as shadows being cast from the sculptures, in the opposite direction of the shadows actually cast by the sun. In addition there are several free-floating stained clouds with images inside them. This relates, as do the images in the sculpture cloud panels, to the idea of looking at clouds and seeing images emerge from the random fractal shapes and shading. The idea is as if you are seeing the shadows of clouds cast on the earth below as you might while flying in an airplane. 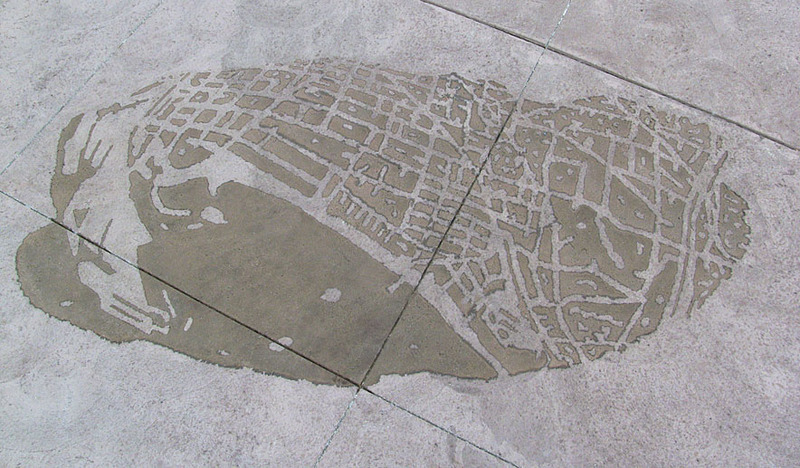 This is reinforced by the grid lines cut into the Art Plaza which resemble the latitude and longitude lines on a globe. This image was chosen for the fractal nature of the branches, which also resemble lightning or the synapses of a brain cell. This image shows the downtown area where the artwork is located along with the iconic port area and oil islands. The grid of streets is distorted as if the cloud is moving and changing shape. 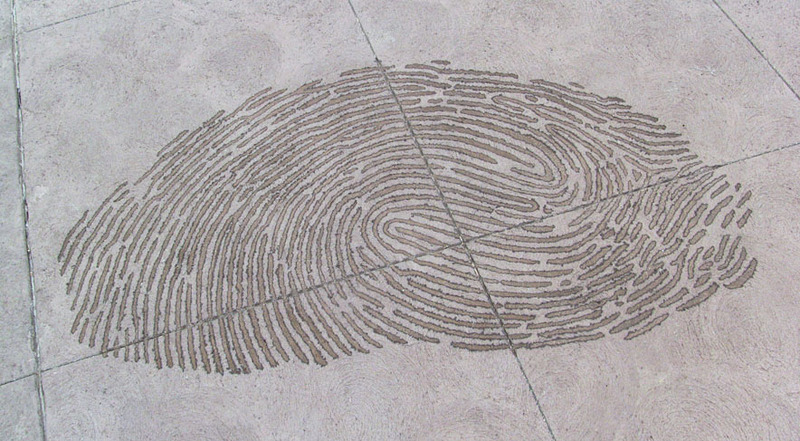 Another pattern that is instantly recognizable, and even though every fingerprint is similar, no two are the same as with many infinitely varied self-similar patterns in nature. This is an image of plank canoes that were a common sight along the coast of Long Beach two hundred years ago and have only recently emerged again to sail the waters of Long Beach. 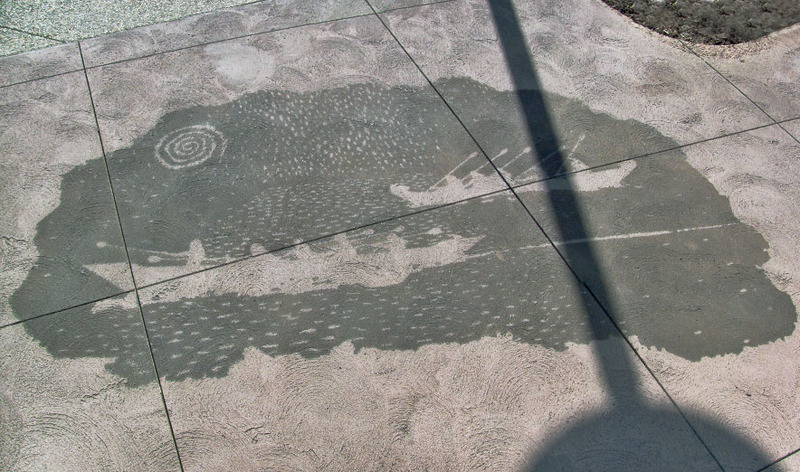 This stained image is of both the Tiat of the indigenous people of Long Beach, the Tongva, as well as the Tomol of the Chumash when these canoes sailed together at the Ti'at Festival on Pimu Island (Santa Catalina Island) in the 1990's. 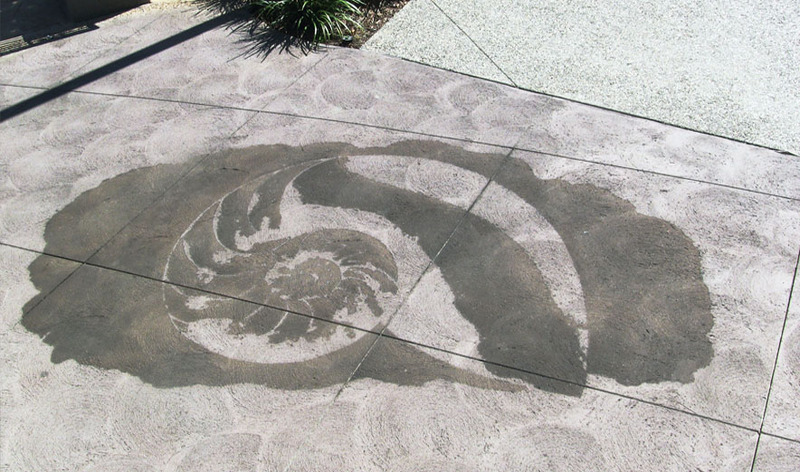 Another image which represents something that appears and fades away over time, and also repeats the spiral motif. Another reference to the way we perceive images within random patterns, and underlying fractal structures.